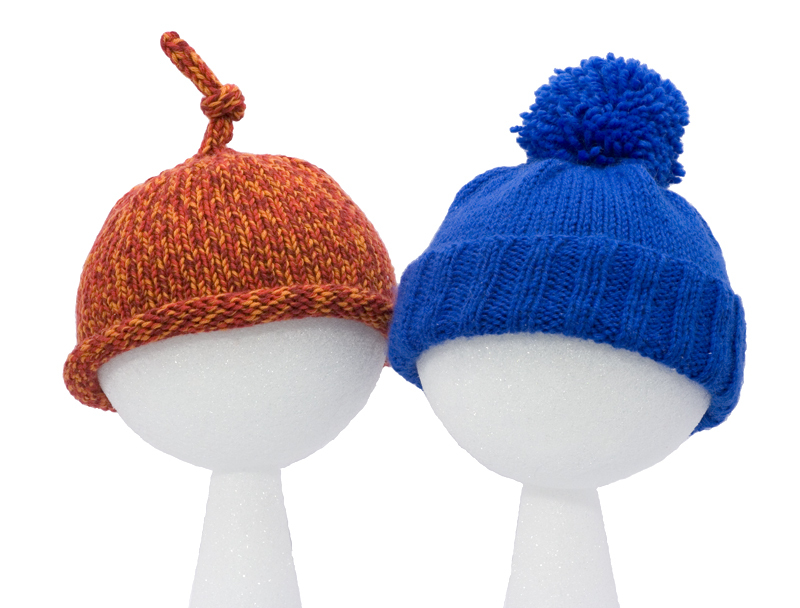 Simple and stylish hats in two styles — rolled brim or ribbed brim — for that special child in your life. 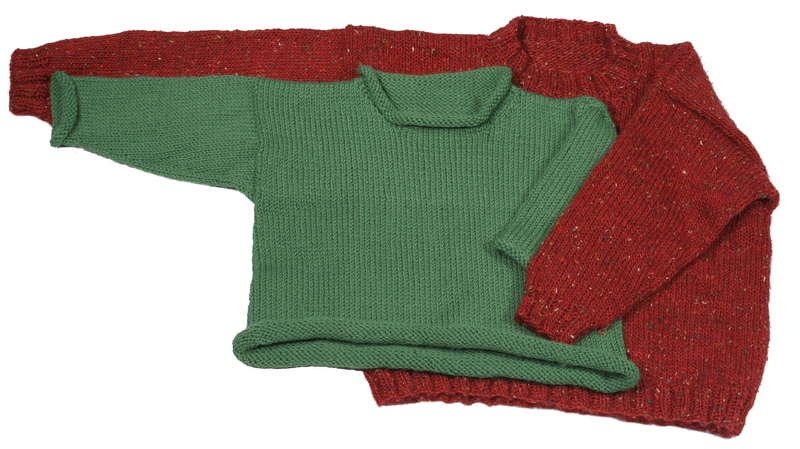 Finished Circumference:	16", 18", 20"
This simple-to-knit child's sweater comes in two styles — one with a rolled hem, neck and cuffs and one with a ribbed hem, neck and cuffs. Both fit comfortably and look great on an active kid, and both knit up easily — the only seams you sew are at the shoulder! 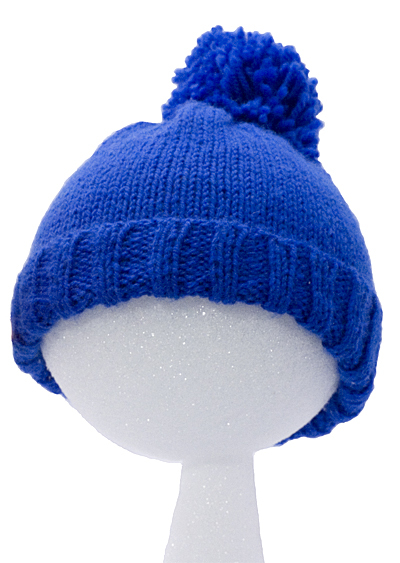 Choose from patterns written for circular or straight needles.